You don’t have to be a big spender to jump into a million-dollar New Orleans experience. The Crescent City can be easy on the wallet, if you know where to look. From happy hour specials to hidden gems, there are affordable options all over town, no matter what the season. This most historic part of New Orleans is famous for its white tablecloth restaurants, artsy boutiques, and craft cocktail bars. But you don’t have to break the bank to enjoy the French Quarter. Breakfast - Start your day with some chicory-laced coffee and pastry from Croissant D’Or Patisserie. Or treat yourself to a plate of hot beignets and café au lait from Café du Monde. 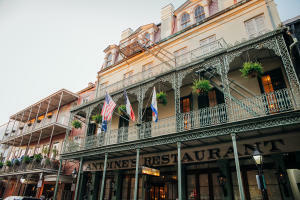 Follow your feet - Take a stroll through the picturesque French Quarter to see some of the most historic architecture in the country, starting with The Old Ursuline Convent, the oldest building in the Mississippi Riverfront. Don’t forget to look up and spy lacy wrought iron balconies and galleries. Visit the Visitor Center of Jean Lafitte National Park and get free information and maps. They also give free walking tours. Ogle art – Window shop along Royal Street, famous for art galleries galore and soak up New Orleans’ local art culture. 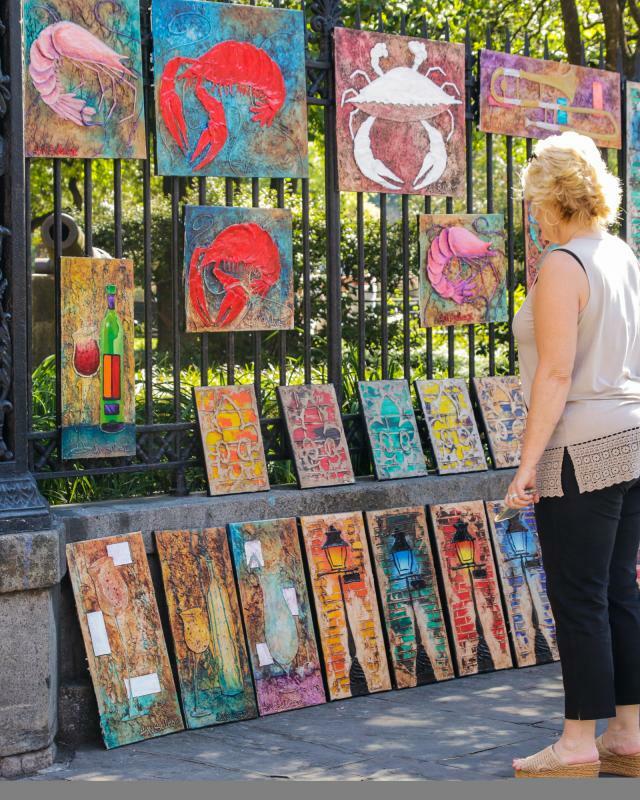 Explore Jackson Square – Take a peek into the beautiful St. Louis Cathedral, the oldest cathedral in the United States, then claim a bench on the square and people watch. Picnic Lunch - Order a traditional Italian muffuletta from the place where it was invented, Central Grocery, and take your sandwich to the river for lunch with a view. Dine on the cheap - Port of Call is a great choice for a burger and potent Monsoon cocktail, or swing by Killer Po-Boys for some creative takes on the traditional New Orleans sandwich. Music and drinks – Club hop along world famous Bourbon Street, where there’s rarely a cover and drink specials and live music keep the crowds entertained. Head to the “quieter” end of Bourbon and belly up to the bar at Lafitte’s Blacksmith Shop Bar for inexpensive libations. Located on Bourbon and St. Phillip St., Lafitte’s is lit mostly by candles and is supposedly haunted. In the mood for artisanal cocktails? Swing over to Bar Tonique across from Armstrong Park on Rampart chose from a menu of reasonably priced New Orleans cocktails. Enjoy a day of gallery hopping in the Warehouse District, one of the hottest developing neighborhoods in town. Ogden Museum of Art - This museum is home to the most comprehensive collection of Southern art in the world and offers free and discounted admission for students, seniors, and more. Picnic in the park - Lafayette Square is the second oldest park in New Orleans. It hosts a free 12-week concert series on Wednesday nights and various colorful festivals throughout the year. Pick up a sandwich from Aglio or Cochon Butcher and picnic in the square. The Contemporary Arts Center - Known for its experimental and multidisciplinary exhibitions, performances and programs, the CDC is the perfect place to take in thought provoking work by local and internationally known artists at a reasonable price. Happy Hour – Happy hour dishes the best bargains and small plates and drinks in the Warehouse Arts District. 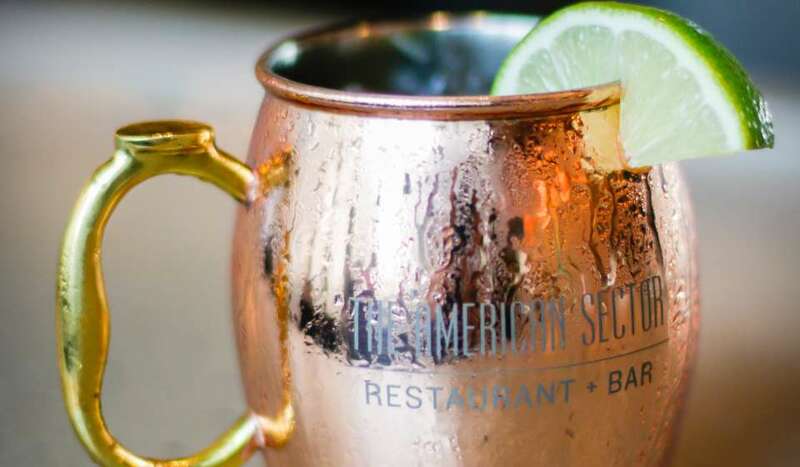 Check out The American Sector (located inside the WWII museum) for fun and affordable happy hour deals. Meril also has a great happy hour with $5 flat breads. Known for stately oaks and historic mansions, shopping on Magazine Street and eclectic restaurants, Uptown delivers a surprising array of well-priced options. Take a ride – Hop on the streetcar down St. Charles Avenue. Riding the oldest continuously operated streetcar in the country is your best way to soak up views of live oaks and antebellum mansions and costs just $1.25, exact change please, or buy a one-day, three-day or five-day pass. Breakfast - Camellia Grill is a landmark diner Uptown known for its rib-sticking breakfasts and entertaining servers. Grab a seat at the counter and enjoy the show. Audubon Park - Go for a ramble under the leafy canopies of gorgeous oaks in Audubon Park, then relax in one of the covered gazebos and watch the ducks. Lunch - Grab a sandwich or salad from St. James Cheese Company, a local cheese shop with a seriously loyal following. Or swing by Pizza Domenica, the casual off-shoot of the James Beard Award-winning Italian restaurant downtown. Come for a late lunch after 3, when pizza, house wine and beer is half price. 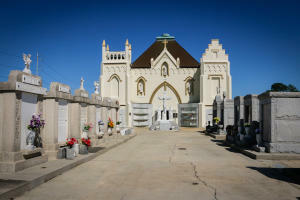 Cemetery Tour - New Orleans is famous for its above-ground crypts and tombs. Take a self-guided walking tour of Uptown cemeteries such as Lafayette Cemetery on Washington Street. Happy Hour - Sip on classic cocktails at happy hour prices from 4-7 p.m. at the Victorian Lounge in The Columns Hotel, a genteel throwback to Southern Hospitality on St. Charles Avenue. hen there’s Cure, a pioneering craft cocktail lounge on happening Freret Street uptown with terrific happy hour deals. Dinner and Drinks - Freret Street is also up-and-coming for the restaurant and bar scene with eateries like The Company Burger, Freret Beer Room, and High Hat Cafe sure to satisfying the hungry on a budget. Play a free game of skee-ball at local dive bar, The Other Bar, or listen to live music at Gasa Gasa. If you really want to experience New Orleans like a local, spend a day in Mid-City and Esplanade Ridge for some off the beaten path bargains. 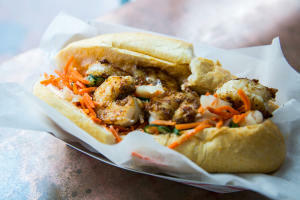 Lunch - Sink your teeth into a famous Po-Boy sandwich from Parkway Bakery in Mid-City – be sure to order it dressed. Or take a sandwich to go for a picnic along nearby Bayou St. John. City Park – A 1,300-acre outdoor oasis that has enchanted New Orleanians since 1854, City Park is the spot for outdoor family friendly activities. Go for a jog around the lake, or take a stroll and bird watch. 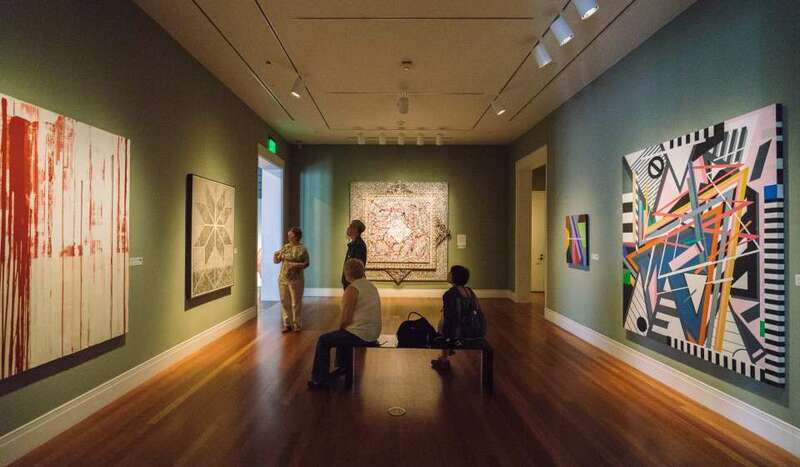 New Orleans Museum of Art - Located in the heart of City Park, the New Orleans Museum of Art delivers a world of art for its $12 admission price, with discounts offered to seniors, students and children 12 and under. If you prefer your art outdoors, admission to the stunning Sculpture Garden is free of charge. Bayou St. John - See the Louisiana Bayou St. John up close and personal along the 1.7 mile jogging and bike path in Mid-City. Dinner - Split a heaping portion of paella at Lola’s or nosh on some modern Vietnamese cuisine at Mopho. In the mood for Mexican? Try the Creole-infused fare at Juan’s Flying Burrito. Sweet Treat - Top off the day with something sweet from Angelo Brocato’s Italian Gelateria, a favorite local dessert spot for over 100 years. Just downriver of the French Quarter, the Marigny and Bywater are two neighborhoods to visit for great live music, art markets, and tasty food that won’t break the bank. Breakfast - New Orleans Cake Cafe & Bakery serves up a hot breakfast with choices like pulled pork and grits and biscuits and gravy. Add a cupcake to any order for just $1. 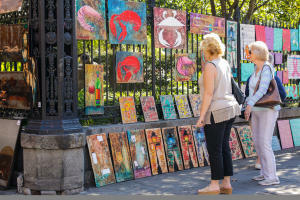 Art Markets - Enjoy the art galleries and markets in the Marigny and Bywater neighborhoods. Check out Dr. Bob’s quirky art gallery, the Piety Street Market, both in Bywater or the outdoor Art Garage on St. Claude Avenue in the Marigny. Lunch - Grab lunch at Dat Dog’s Frenchmen Street outpost, or a slice of pizza at the seriously addictive Pizza Delicious further down river in Bywater. Or for breakfast or lunch, head to Frady’s One Stop, where cheap eats and plate lunches attract throngs of regulars. Bike Ride - Explore the neighborhood in nice weather on a bike ride with rentals from Bicycle Named Desire in the Marigny. Crescent Park – Take that bike or walks along the Mississippi through Crescent Park, a 20 acre linear park on the riverfront. Take a Swim – It’s just $15 for a daypass at the Country Club in Bywater, where you can swim, soak in the hot tub and relax in a lush garden setting. There’s eats and drinks too. Drinks & Music - Frenchman Street is the best place in the city to hear a concentrated dose of live music every night of the week. Check out the Spotted Cat and Blue Nile for inexpensive drinks and live blues, jazz, funk and more, usually with no cover charge – just don’t forget to tip the band. And for live jazz from some of New Orleans’ classic originals, Snug Harbor has two shows a night in its intimate venue geared to serious music lovers.